The American grunge band Nirvana formed in Aberdeen, Washington in 1987. Kurt Cobain (Vocals/Guitar) and Krist Novoselic (Bass) were the head founders and main contributers of the group. They went through a succession of drummers, the most successful and longest lasting was Dave Grohl. 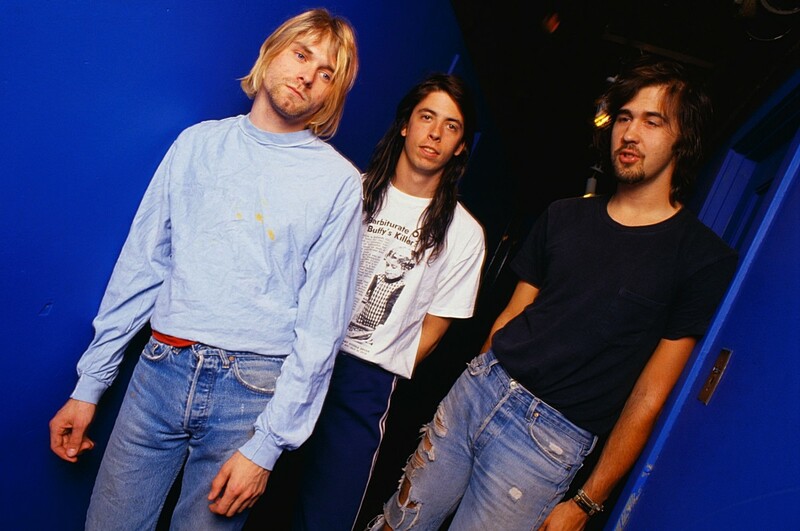 Nirvana released three studio albums along with two live albums and several compilation albums. Such an amazing, short lived band deserves to be recognized. Come as you are was written by Kurt Cobain (like most of their songs) and was released as the second single from Nirvana's second album Nevermind. It hit the American top 40s and was voted as one of Rolling Stone's 500 greatest greatest songs of all time. Kurt used an interesting chorus distortion peddle to create an underwater-like tone for the track. 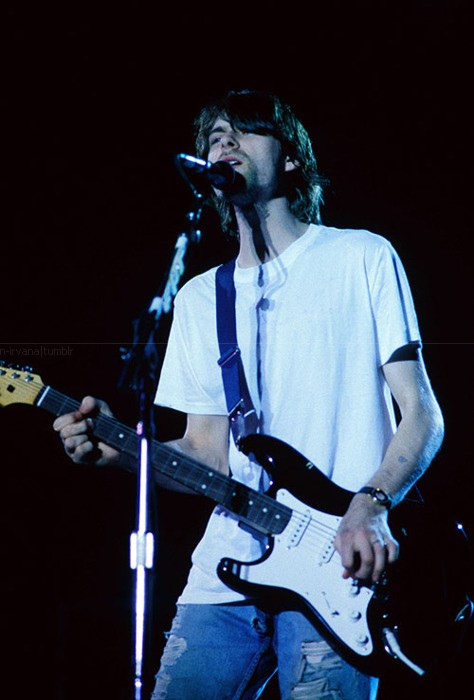 Cobain said that the lyrics of the song were aimed towards the way people feel like their expected to act. When writing the song, he intended it to be purposely contradicting, such as the line "Take your time, hurry up, the choice is yours don't be late". The lyrics "I don't have a gun" i believe were aimed at Nirvana's audience. He wanted everyone to listen, not by having to single them out with a gun. 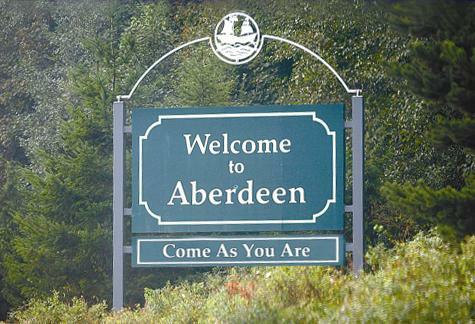 The title of this track has been paid tribute to on the "Welcome to Aberdeen" sign. Just under the welcome reads "Come as you are". Being the hometown of Nirvana, i find this sign to be an awesome, warm welcome. Heart shaped box was the first single off the studio album In Utero. The name of the song came from a heart shaped box that Courtney Love gave to Kurt. 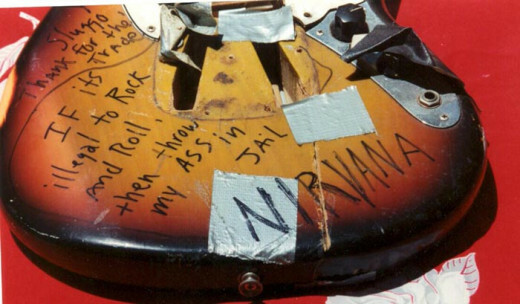 (He originally called it a "heart shaped coffin") In fact Courtney overheard Kurt practicing the song and asked if she could use the riff for one of her songs. In response Kurt locked himself in the closet trying to conceal his song from Courtney and practice in peace. `There are different interpretations as to what this song is truly about. It is said that part of the song came from Kurt's sadness about childhood cancer. Others insist that the song was about Kurt and Courtney's relationship. About a Girl was the third track on Nirvana's debut album, Bleach. 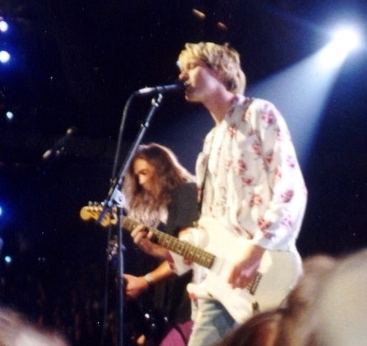 It was a risk for Nirvana to include this track on the album at the time because this soft, pop-styled, song was very different than what their strictly grunge audience was used to hearing. They took a chance and added one of my favorite songs to the track list. The songs lyrics were written about the struggles of Kurt's relationship with his girlfriend at the time, Tracy Marander. 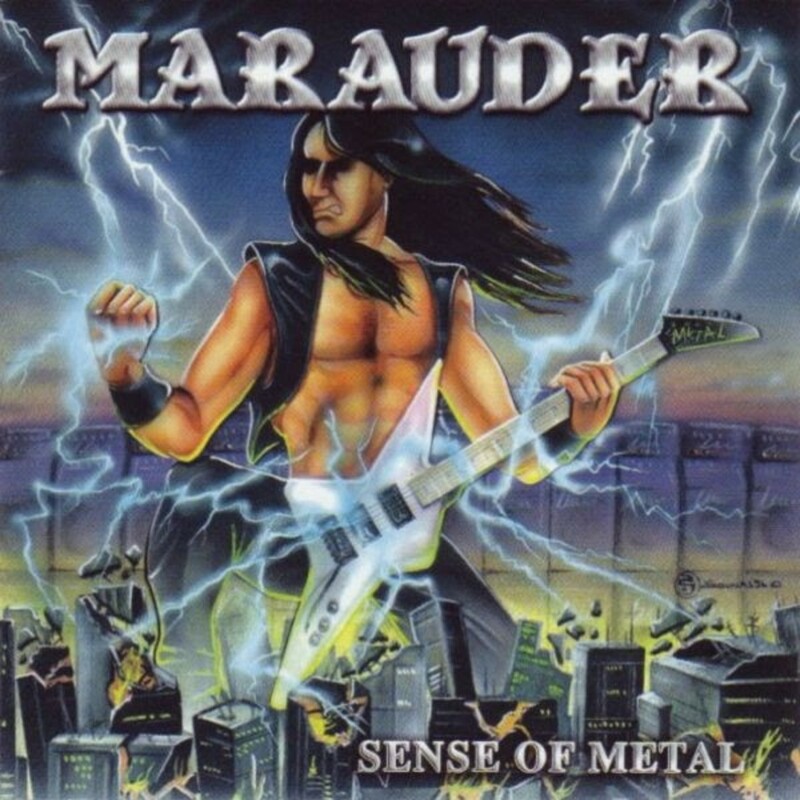 This awesome song stood out from the other heavier tracks on the album, giving the record a bit of diversity. Radio Friendly Unit Shifter is the tenth track off of the album In Utero. This song was used to open many shows from 93 to 94. The title of this song was inspired by the radio friendly, clean sound of their song Smells Like Teen Spirit. I interpret this song as Kurt's way of venting about his struggles with fame and in his own way lashing back at the music industry. With lines as "Use just once then destroy, invasion of our piracy" and "I love you for what i am not, do not want what i have got", in my opinion make this a truly inspired song. Dumb is the sixth track off of the album In Utero. I feel that Kurts sarcastic personality can be heard in this song. As i interpret it, Kurt is saying that to be happy you have to be "dumb" or clueless toward certain things. Blinding yourself to all of the terrible things in the media and numbing your pain will allow you to forget and move on with your life, being happy. I personally really enjoy the mellowness of this song, it seems to be one of the only tracks that Kurt wrote with his head in the clouds. The Man Who sold the world is a cover version of the David Bowie song which they preformed unplugged for their album MTV Live in New York. The song is about meeting the social outcast that sold the world. The album that the song came from was one of Kurt's and my favorites. Being a huge Nirvana and David Bowie fan, this cover song is quite impressive and flattering, giving it the number five slot on my list. Love buzz is the fifth track off the Nirvana album Bleach. Originally written by the band, Shocking Blue, Love Buzz was perfected with Nirvana's Grunge styled cover release. The new heavy sound of this classic song mixed with experimental distortion and Kurt's growling, snarling, voice makes this one of my favorite Nirvana songs. Teen Spirit is the opening track on the album Nevermind. This song was the greatest, unpredicted, success of Nirvanas work. It placed 6th on the US Billboard 100 and did very successful on music charts all around the globe. Weird Al Yankovic created a parody version of the song called "Smells like Nirvana", which came out shortly after the release of Nevermind. (Definatly worth checking out) Nirvana said that they knew they were going to be famous when Weird Al asked them to make a parody of their song. 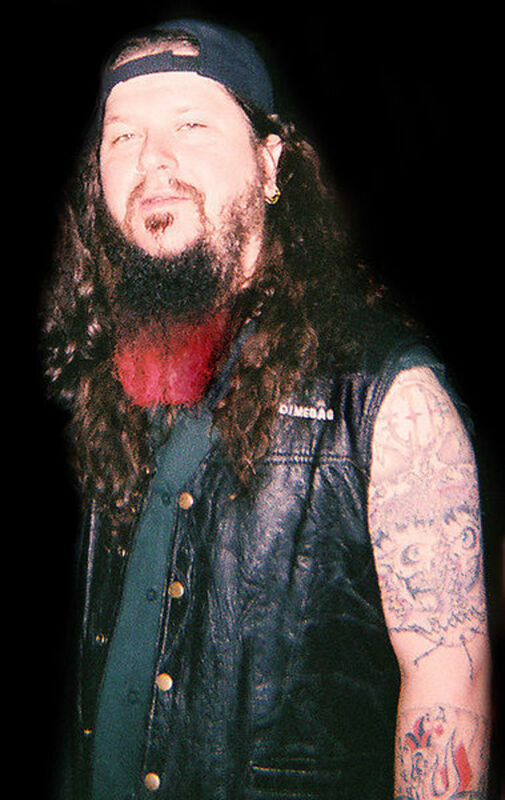 Other artists that covered the song include Tori Amos, Patti Smith, and the Melvins featuring former child star, Leif Garrett. Being such a great success, how couldn't i include Teen Spirit in my list? Breed is another amazing Nirvana song, being the forth track on Nevermind. This song is more complex and fast paced than most of the previous Nirvana songs. Awesome drum fills were implemented by Dave Grohl throughout the song along with Kurt's unique guitar distortion. The lyrics of the song are well developed. To me it seems like a song about being trapped in American society and how lives and relationships can be held back by "the man". The hard rock band Otep recorded a fantastic cover version of this son on their album "the Ascension", defiantly worth a listening to. Lithium is my absolute favorite song by Nirvana. It's the fifth track off of the Nevermind album. Lithium peaked at 64 on the US Billboard 100. The songs lyrics are about a man who finds God as a last resort after the death of his loved one. It seems that if he hadn't found god he would have committed suicide. These lyrics are very fascinating to me. They can be related to many different feelings relationships, and difficult situations that we as humans have to endure. When listening to this song it makes me feel empowered knowing that other people share the same struggles. I think a great deal of Kurt's heart can be felt in this song. On April 8,1994 Kurt Cobain's body was discovered at his Lake Washington home. A shot gun blast to the head along with a large amount of heroin in his bloodstream had police declare it a suicide. This tragedy tore apart Nirvana along with all of Kurt's family and fans. To honor the loss of an amazing musician musician and poet, i listen to the music and share it with whoever will listen. 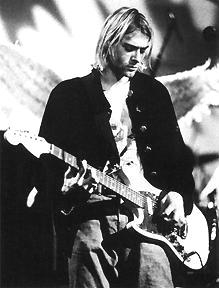 Because of power in this music, i believe Kurt and Nirvana will always be remembered. Kurt was a very interesting, troubled person. If your interested in learning more about him, he has a series of journals that were published after his death. I personally own a copy and i find it very entertaining. No way to better get to know an artist than reading their journal. Thanks for the comment! Spectacular hub on someone I wish I knew more about! I remember his songs, but not more than his death. Reading your hubs has mad m want to look deper into his soul and into his words of his songs. I bet he was a grat poet! Great writing here! Voted up! I agree with you trevor, all we can do is keep this great music in our minds and on our stereo! Amazing band that was lost to us way too soon! I've also watched quite a few Kurt Cobain documentaries and have read his bio "Heavier than Heaven" (which is a great book by the way) and theres no question in my mind that Kurt was struggling with his fame and like you said, people taking his talent for granted. I also know that Kurt suffered from horrible stomach pains. I can see that all of these factors along with his depression really put him in a bad place, however with all of the controversy floating around, I just don't think he killed himself. I too, continue to listen to Nirvana from time to time. I have also seen the many doumentaries and regardless of the many opinions behind his death, one thing is clear. Sadly, this one of a kind talent was eaten up by the world of moeny. He struggled knowing what was coming as his popularity grew. It makes you realize how important protecting talent is. People in powerful positions pull, tugged and took him for granted. I listen to Nirvana at least a few times a week. For the most part i choose not to listen to the songs they play on the radio. 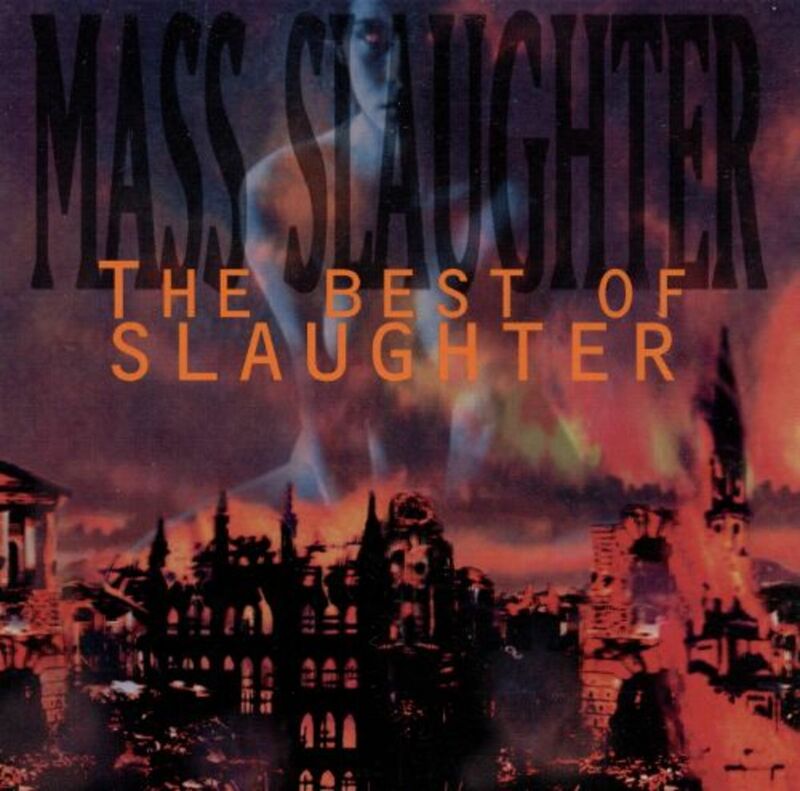 Like the Heavy Review said, allot of their lesser known songs are some of the greatest. More recently I've been listening to the Bleach album and even Insecticide and they really have some awesome tracks such as "School", "Been a Son", "Negative Creep", "Mr.Mustache", and the new wave version of "Polly". Thanks for the comments guys. I would highly suggest listening to some good old Nirvana albums! I haven't listened to Nirvana for a really long time. Reading this makes me want to listen to them again. I'm really glad that you put some lesser-known songs on here! My favorite Nirvana song has always been "Blew". Nirvana was a truly influential band and you picked a nice selection of songs. I appreciated your articulate explanations of why you selected each song. It's always great hearing from other fans. Thank you for your interest and also helping to keep Nirvana alive! Thanks for this great hub. What an amazing band, and a terrible loss that it was so short lived. Thanks for keeping the music alive.